Graduation from the Associate Degree in Applied Business can provide an entry opportunity for those who have not worked in business settings, accelerate progression through a graduate's present organisation, or open up new career paths and opportunities. The Associate Degree in Applied Business (Specialisation) is for aspiring future leaders and managers in one of four areas: Sport, Recreation and Leisure, Tourism and Events, Local Leadership and Supply Chain Management. The Sport, Recreation and Leisure specialisation focuses on the management, planning and business of sport, recreation and leisure. 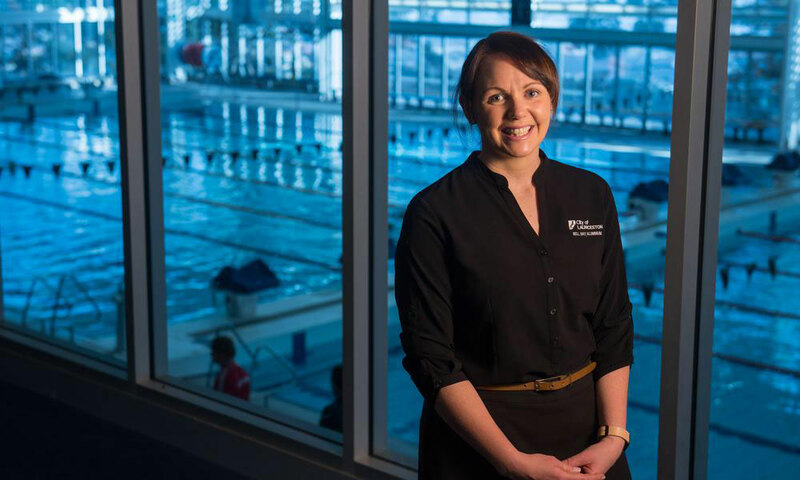 Graduates will be able to apply knowledge of key business management concepts in practical environments such as sporting and recreation clubs, leisure centres and local government. This specialisation is ideal for those already working in the industry who wish to progress to management roles. The Tourism and Events specialisation focuses on tourism and event organisation, their significance to governments, businesses and the community and the social, financial and cultural impacts of these crucial sectors of the Tasmanian economy. Students learn key business concepts in both traditional and rapidly evolving tourism and events markets while developing the skills to apply them in real world situations. The Local Leadership specialisation is aimed at people with a strong community focus who are interested in acquiring the business skills necessary to manage the people and resources involved in the local delivery of services to the community. Students gain valuable skills and experience in areas such as good governance, compliance and regulation, managing volunteers, leisure planning and event management. The Supply Chain Management specialisation is focused on preparing people employed within industry to manage the supply of goods and services from the point of origin to the end customer more efficiently. Students are exposed to all elements of the supply chain, including inventory planning, procurement, transportation, distribution and global logistics. Whether you’re currently working in one of these areas or you’ve always wanted to, this program is a great stepping stone to a new or accelerated career. The first year of the program serves as a foundation year, while the second year provides students with a pathway to employment in organisations relevant to their specialisation such as event management companies, tourism operators, sporting clubs, leisure centres and local government. A key feature of the course is the practical component, where 16 ‘Practice and Portfolio’ subjects are paired with 16 academic subjects to provide hands-on learning. This unique system aims to enhance students’ problem solving, communication, critical thinking, teamwork and leadership skills by allowing them to ‘learn through practice’. It has been designed to make university study a little less daunting—and a lot more practical. Industry experts have helped to develop the course and are actively involved in its delivery. You’ll learn about contemporary business concepts and practices while developing problem solving and project management skills through industry placements and case studies. 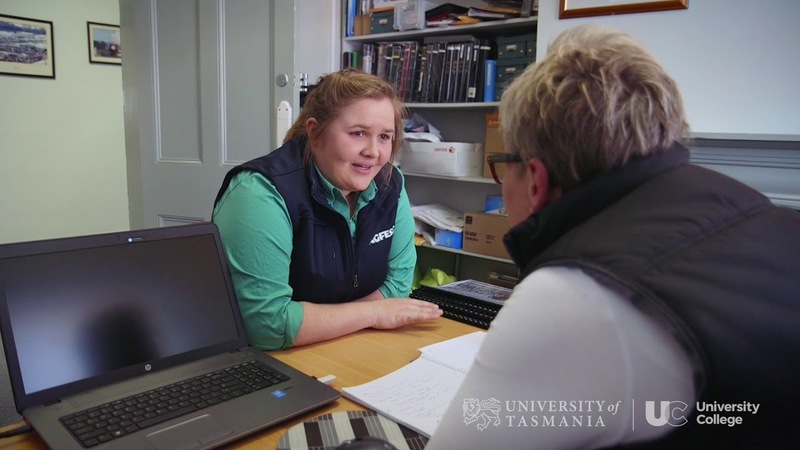 The program is available for full-time and part-time study (depending on specialisation) across all campuses in Tasmania and is delivered through a combination of online study, face-to-face classes, practical workshops and tutorials. a pathway to a great career in sport, recreation & leisure, tourism & events or local leadership. a pathway into further study at the University of Tasmania. Identify, analyse, and evaluate personal goals and pathways for paraprofessional employment and further learning. Articulate evidence and value of learned academic and practice knowledge and skill to a range of audiences. Apply and communicate academic knowledge of business disciplines within the contemporary business environment. Apply and communicate practical business skills within the contemporary business environment. Demonstrate adaptability in the context of emerging digital and innovative landscapes through cognitive, technical, and creative thinking skills. Model the principles of sustainable business practice and resource management through ethical and professional conduct within a collaborative framework. The Work Integrated Learning (WIL) components of the Associate Degree in Applied Business (Specialisation) focus specifically on developing students' employability skills by exposing them to real-world industry case studies and taking a problem-based learning approach to reiterate discipline learning. Work placement will allow students to gain direct experience in a work environment. Portfolio development and work integrated learning are a key component of the Associate Degree in Applied Business (Specialisation). The Practice and Portfolio (P&P) components of this program introduce the concept of learning through practice, by exposing students to authentic and engaged learning experiences designed to develop their understanding of work and the workplace. Throughout the P&P subjects, students learn to critically reflect on their progress towards meeting personal career development goals. All P&P subjects are delivered as a companion to a discipline subject. All students will be required to demonstrate evidence of application and reflection within defined parameters of para-professional work and practice. Across all P&P subjects, assessment tasks are embedded in the discipline subject assessments and are cumulative and informed by increasing knowledge drawn from the subject. These P&P units are designed so that the student and Student Portfolio Coach can build a picture of student strengths and weaknesses and thus be guided accordingly. Each P&P subject will be based on a method or approach to practice from, for example, projects, data for decision making, case studies, field work, simulated environments, design, action learning cycles etc. Wicked problem (issues highly resistant to resolution)/entrepreneurship. The nature of what I am learning I can apply directly to my workplace. There are so many aspects of what I am studying that are transferable. Graduation from the Associate Degree in Applied Business (Specialisation) can provide an entry opportunity for those who have not worked in business settings, accelerate progression through a graduate's present organisation, or open up new career paths and opportunities. This course provides graduates with paraprofessional level of business knowledge and practice applicable across industries. The career options of graduates may also be influenced by their chosen specialisation. A graduate's chosen specialisation might lead them to paraprofessional-level roles within that industry. New to Applied Business and never worked in the industry before? For those graduates new to Applied Business, this qualification could assist you to gain roles such as trainee positions with managers, team leaders, field officers, and researchers. Already working and want to fast track or leverage off past experience? Articulating into the Associate Degree in Applied Business (Specialisation) will be in line with the University's standard application for credit process. Please see Articulation/ Credit for more information. Applications for credit can be made upon application to the Associate Degree in Applied Business (Specialisation) course. Students wishing to articulate from the Associate Degree in Applied Business (Specialisation) into University of Tasmania bachelor programs may be eligible for some credit, subject to the receiving college/faculty's discretion. Students seeking full credit into a degree will need to apply for the Bachelor of Business Administration from the Associate Degree in Applied Business Full Articulation Pathway. This will require students to undertake 4 x 12.5% subjects from the Tasmanian School of Business and Economics in their second year. The Associate Degree in Applied Business (Specialisation) is a two-year full-time (or equivalent part-time) degree requiring the successful completion of 32 subjects comprising of a combination of 16 topic areas, each with an embedded work integrated learning component. The program is offered over four teaching terms of 10 weeks. Students wishing to study the general business stream will need to enrol in Z2C Associate Degree in Applied Business. The Associate Degree in Applied Business (Specialisation) requires students to develop knowledge and skills through a learning approach based on work integrated opportunities such as industry placements, field work, case studies and applied research. This leads the program to be structured around the concept of paired or companion subjects where a Discipline subject and a Practice and Portfolio (P&P) subject are linked such that students are given the opportunity to apply discipline knowledge in a work based type setting. The first year of the Associate Degree in Applied Business (Specialisation) serves as a foundation year, while the second year will provide students with a pathway towards employment. Students wishing to transition into a pathway to higher level study will need to enrol in the Associate Degree in Applied Business. The Associate Degree in Applied Business (Specialisation) is offered in blended mode, where students receive access to comprehensive learning materials and a Lecturer for each subject of study. There is a workshop component where students attend campus to practice their skills and also online sessions where students can integrate theory and practice. Students are required to take two discipline subjects, with a corresponding Practice & Portfolio subject, totalling 4 subjects at 6.25 credit points (cps) in each term, if studying full time. Students are required to take two discipline subjects, with a corresponding practice component for each discipline subject (called 'Practice & Portfolio' subject) totalling 4 subjects at 6.25 credit points (cps) in each term, if you are studying full time. A choice of one subject from the following list. Each discipline subject must be taken with the corresponding Practice & Portfolio subject (totaling 12.5 credit points (cps) per subject pair). Part time only in 2018. Enrol in the first pair of subjects listed under each term in year 1, then the second pair listed under each term in year 2, etc.